I guess my Apple HomePod doesn’t celebrate Thanksgiving either like Boston Celtics guard Kyrie Irving. 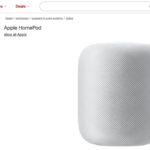 Instead of happily playing music to prepare Thanksgiving meals, my HomePod refused to listen to any commands. 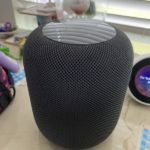 Had to reset the HomePod and now it’s behaving once again. Or perhaps SkyNet is becoming sentient. Happy Thanksgiving!